India » DL » New Delhi » Search results for: "Financial in New Delhi"
The Bird-X Mega Blaster with Solar Panel is an effective, humane and financially-friendly method of bird repellent. Tower emits high-frequency recordings of bird distress calls that confuses and wards off birds. The solar-powered panel requires little maintenance and keeps device running day after day without attention, keeping your property free from destructive pests. Bird-X Established in 1964, Bird-X has become the leading brand of humane pest and bird control solutions worldwide. With a drive for innovative product development, Bird-X aims to produce high-quality repellent that aligns with sustainable, eco-friendly and humane practices. Bird-X devices are proven to help wildlife and pest populations by migrating them to where they can be controlled and are free from harm. China's Macroeconomic Policy is a key collection of articles that showcase how economic policies have changed-and are changing still-in the world's second largest economy, in a way that will affect the global economy. From exchange rates to fiscal policy, Chinese reforms have developed gradually to transform the country from one dominated by the state's central-planning apparatus to one with more nuanced policies designed to manage an increasingly market-based economy. Most of the crucial reforms have occurred in the past couple of decades, with key policy and regime changes in the past few years. For instance, the RMB regime was set up in 1994, then moved to a trade-weighted basket of currencies in 2005, and then came the latest policy geared at internationalization of the RMB. All of which have significant effects on the global reserve currency regime. The main topics covered in the collection include: exchange rates, trade, investment, fiscal policy, monetary policy, financial regulation, and GDP. ;Financial derivatives continue to play a major role in modern, market-based economies across the globe. The necessity to comprehend the economic rationales behind financial derivatives, as well as the purposes for which they were designed, has never been greater. This new four-volume collection from Routledge answers that need. David H. Goldenberg, a leading scholar in the field, has brought together the foundational and the very best cutting-edge contributions. The collection maps the existing body of thinking and helps users to make sense of the continuing explosion in scholarly output. Financial Derivatives is fully indexed and has a chronological table. It also includes detailed introductions for each of the four volumes, newly written by the editor, which places the material in its intellectual and historical context. These introductions collectively constitute 108 pages, guide the reader through the material, and provide an overview of the subject. They form a virtual textbook, making the series suitable for courses taught in Finance, Mathematical Finance, and Economics programs worldwide. Financial Derivatives is an essential work of reference and is destined to be valued by users both as a vital one-stop research and as a teaching resource. This comprehensive survey of the countries of East and South-East Asia, Australia and New Zealand, along with 22 Pacific islands, fully revised to reflect current economic and political developments, is an essential resource for the Asia-Pacific region. New for 2015: details of developments around the 12th successful coup in Thailand since 1932 coverage of the parliamentary and presidential elections in Indonesia, leading to the election of Joko Widodo as the country's next President analysis of the tensions surrounding China's territorial claims in the South and East China Seas. Calendar of Political Events A calendar of events provides a convenient reference guide to the year s main political developments General Survey Written by leading experts, this collection of essays provides incisive analysis of regional issues. Country Surveys Individual chapters on each country containing: essays on geography, history and the economy an economic and demographic survey of the latest available statistics on population, health and welfare, agriculture, forestry, fishing, mining, industry, finance, trade, transport, tourism, communications and education a comprehensive directory of names and contact details covering the most significant political, financial and commercial institutions a country-specific bibliography. An entire section is dedicated to the Pacific islands, including specially commissioned essays examining the contemporary politics of the islands, their economies, security concerns and the environmental issues confronting them Regional Information includes all major international organizations active in the region, their aims, activities, publications and principal personnel a detailed survey of major commodities in Asia and the Pacific a directory of research institutes specializing in the region select bibliographies of books and periodicals covering the Asia-Pacific region an index of regional organizations." Now with USB 3.0 SuperSpeed for interface speed of up to 5 Gbits/s - that is 10x faster than USB 2.0. Buslink CipherShield Dual Key USB 3.0 4TB 256-bit Encrypted External Hard Drive safeguards and protects classified information when they are too important to be left in the hand of one individual. To gain access to the drive, authentication will be based on two unique Cipher Keys. It requires both keys to be plugged in all the time while working with the drive. It is like getting a safe deposit box that takes two keys to open. CipherShield USB 3.0 Dual Key Encrypted Drive is suitable for group setting where more than one individual are working on highly confidential projects. i.e. blueprints for company's next new products, top secret programs, highly confidential legal cases, sensitive customer records and financial information. It ensures high level of data integrity and security, thus supporting organization compliance efforts with federal regulations such as HIPAA (Health Insurance Portability and Accountability Act), or Sarbanes-Oxley Act. USB 3.0 interface is backward compatible with USB 2.0. China and India, the two largest developing countries, are developing rapidly both inside themselves and towards global markets. Are these two economies dual or dueling? This 3-volume set tries to answer this question by providing comprehensive analyses scoping varied economic issues. This volumes set covers both China's and India's strategies and objectives in international governance, their bilateral and multilateral trade agreement negotiations, financial liberalization, growth prospects, rural development and agriculture, income distribution, labor market mechanism, manufacturing and competitiveness upgrading, as well as environmental and other social issues. The set collects papers (most unpublished until now) written by Chinese and Indian researchers who have rich experiences and strong backgrounds in policy analyses and are well connected to Chinese and Indian policy makers. Thus, these papers contain valuable first-hand information about China's and India's development strategies. This makes this volume set an essential source of reference for China-India comparisons and studies. 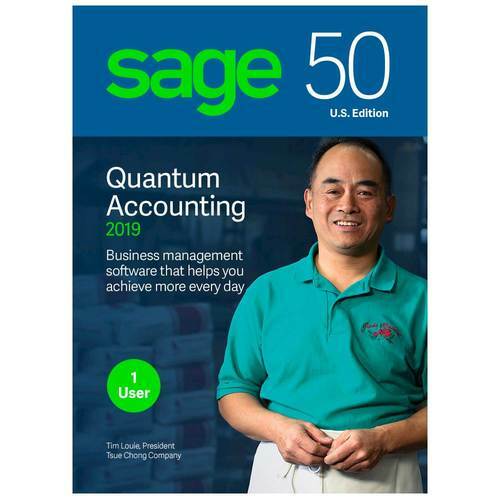 Track your company's financial performance with this single-user version of Sage 50 Quantum Accounting 2019 software. It offers industry-specific capabilities that cater to your business focus, and the user-end and bank-level security features ensure reliable data protection. Sage 50 Quantum Accounting 2019 supports integration with Microsoft Productivity Tools to import and export critical data for your reports. This two-volume collection contains fifty influential articles published over the past four decades on the regulation and governance of financial institutions. Some contribute by making theoretical advances that enhance the conceptual framework through which economists view financial institutions, and others contribute by assembling data and evaluating the predictions of these different models. Including an original introduction, the papers provide a foundation for understanding and conducting additional research into the regulation and governance of financial institutions. Livre introduisant aux principaux fondements de la fiscalite internationale et ses montages financiers."